The summer before he started college, former senator and Secretary of State John Kerry sailed on a yacht with then-President Kennedy and his family. From the age of 11 he attended Swiss and New England boarding schools and then Yale, taking vacations at his family’s estate in France. He married very well, twice. He spends Christmas with neighbor Tom Hanks at an exclusive ski resort. John Kerry has not experienced the struggles of average Americans. Kerry signed up for the Navy’s Officer Candidate School when faced with the Vietnam War draft upon graduation from Yale. To his credit, Kerry distinguished himself in his first experience rubbing elbows with regular Americans in the military. He earned the respect of his Swift boat crewmates, who had the hair-raising task of motoring up and down narrow waterways peppered with Viet Cong ambushes. Consumed by the injustices of the war and the futility of American policy, Kerry threw himself into activism upon his return. He suggests that this experience awakened an ambition to serve in public office. But it is just as easy to imagine that, already possessing wealth, connections and confidence, Kerry sought power. When a run for the House of Representatives failed, Kerry went to law school. He worked as an assistant district attorney in Massachusetts before becoming lieutenant governor under Michael Dukakis. When Senator Paul Tsongas announced he would not run for re-election, Kerry decided to go for it. He knew that the other senator from Massachusetts, Ted Kennedy, would never give him the same opening. That successful campaign began a 28-year career in the Senate, highlighted by the chairmanship of the Foreign Relations Committee and investigations of the Iran-Contra affair and the Bank of Credit and Commerce International (BCCI), a money-launderer for terrorists and corrupt leaders including Manuel Noriega. Kerry’s 2004 run for the presidency against George W. Bush ended in a close defeat with voting difficulties reported by Democrats in Ohio. Kerry felt that contesting the race, though justified, would inevitably end with the same result as Bush v. Gore, a 5-4 decision at the Supreme Court. Kerry’s campaign introduced Barack Obama to the general public, when the state senator from Illinois delivered an electrifying speech at the Democratic convention. Obama’s presidency brought with it a terribly partisan Congress. What Kerry calls the “Old Senate”—legislators who may have been rough around the edges but kept their promises and struck deals across party lines—was gone. He especially laments the plight of Republican Senator John McCain, a pillar of the Old Senate and occasional collaborator with Kerry, who was hamstrung by divisive Tea Party politics in his state. When President Obama chose Kerry to succeed Hillary Clinton as Secretary of State, the senator was ready to leave his deadlocked colleagues to work on foreign policy, always his passion. He describes in detail his two greatest achievements, the Iran nuclear deal and the Paris climate accord, offering a blueprint for successful diplomacy. Kerry does not glamorize this process, which entails lengthy, tedious negotiations, brought back from the brink of disaster over and over, and made possible by sharp foreign service staffers and scientists. As Kerry tells it, his personal relationships with the decision makers on the opposite side, persistently pursued and patiently cared for, made the difference between success and failure. In the book, Kerry pulls his punches and sometimes falls back on platitudes. He never delves too deeply into himself or his colleagues. Throughout the narrative are such non-insights as Kerry’s weakness for chocolate, difficulty with goodbyes, and fondness for straight shooters. His observations about coworkers follow in the same banal vein. His reluctance to ruffle feathers perhaps stems from continued presidential ambition, although he does not write about this. Kerry’s few negative comments are aimed at John Edwards, his 2004 presidential running mate and now disgraced politician—a safe target. Kerry recalls that Edwards aggressively campaigned to earn the vice presidential spot, telling him a very personal story about his son’s death. Some weeks later, with Kerry still undecided, Edwards told him the same story, claiming it was the first time he’d shared it with anyone. 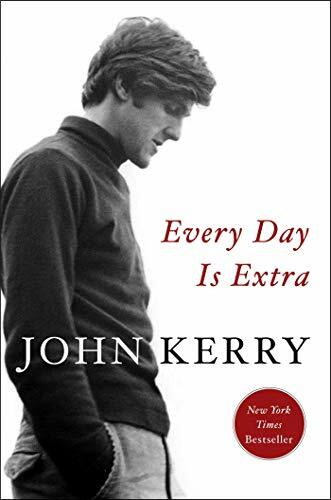 This fairly guarded, dry account of a life in service does reveal some truths about John Kerry beyond his rarefied lifestyle. A tremendously gifted athlete, he possesses great energy, determination, and a steadfast work ethic. While Kerry makes an easy target for those who disparage the so-called liberal elite, his record of public service is tough to impugn. A builder of common ground across party lines, he would put himself firmly in the tradition of the Old Senate. He has diligently worked on the issues important to him—primarily foreign policy and the environment—with all comers. Jane Constantineau is co-author of the memoir, Kill the Gringo: The Life of Jack Vaughn―American Diplomat, Director of the Peace Corps, U.S. Ambassador to Colombia and Panama, and Conservationist. She has lived in Tehran and Guatemala City and holds a masters degree in journalism from Northwestern University.